The big news of one small corner of the internet today was a series of charts that MMO-Champion put out showing the number of characters who had completed the current raiding tier in World of Warcraft. Now, the numbers were based off of only a sample of avatars so one cannot use them to speak for the whole playerbase. In the manner of forum users, however, that is exactly what was done. Let’s pretend for a moment that there really is only ~5% of the playerbase in World of Warcraft that has completed the current tier. Why is that? There are a lot of theories, but the one Blizzard is acting on is that the tier is too difficult. Raiding is too hard. Some players argue that raiding isn’t hard – players are just bad. More sensible players respond that actually, players just don’t know what to do because they were never taught. They don’t know how to understand a fight, they don’t know how to recognize mechanics, and they have no way of knowing how to learn that. They can’t solve problems that they can’t see. There are many kinds of literacies, even many kinds of gaming literacies, but raiding literacy is one somewhat close to my heart. As a long-time raider, I have been in low-skill groups and very high-skill groups. I remember the first raid I did and how difficult it was then. Since I love raiding so much and I see raiding culture somewhat in decline right now (another post another time), I have an interest in teaching people how to raid in the hopes that they will then be able to enjoy it as much as I have. But first of all, what do they need to know? And then, how do you teach that to them? 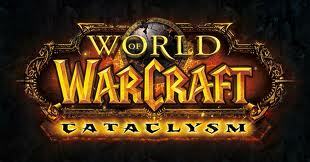 Players often come to World of Warcraft new to the genre, perhaps even new to video games. They don’t understand how to parse the UI, let alone busy boss mechanics. The hope is that they “learn their class” through the leveling process and as they complete 5-man dungeons. However, much of the content has been simplified to account for the age of the game and the relative age of its playerbase. Even new players without veteran perks experience easy versions of 5-mans due to their companions who are, for the most part, overly geared and skilled alts. It’s easy for experienced players to say ‘you’re an idiot if you stand in fire’ because in real life, you would be somewhat of an idiot to stand in a patch of fire. That judgment however operates on a successful conceptual map of the avatar as a human body and the red/blue/purple circle spot on the screen as a patch of fire or other dangerous substance, a metaphor that new players do not understand. They do not see the game world in the same way that experienced players have learned to see it. They cannot read the images on the screen the way experienced players can. They only see meaningless pixels. They may not even notice that a part of the floor is green because they don’t know the floor is an important part. Why isn’t the wall? Or the ceiling? Why does the room matter at all – aren’t we fighting a monster? Perhaps raiding literacy begins with understanding the visual space of the game and relating it to the avatar as one relates real space to one’s body. We learn to watch where we step as children, and are often reminded of it as adults when we trip and make fools of ourselves. Raiders-to-be need to learn where to step as well, but if they haven’t tripped in 85 levels, they don’t even know that tripping is a thing. They need to be taught. And I don’t mean they should be tripped randomly. Perhaps we could find a better way, a more positive way to teach raiders this one lesson of the very many that need to be learned. RIFT’s new Chronicles are small instances (1-2 players) for level 50 characters. I noticed that the boss fights in these dungeons are somewhat simplified. For example, the final boss of the first chronicle has a few abilities – he has a cleave, a beam-of-death that follows you, and a meteor-type ability. All of these are marked on the screen in a consistent manner. Before he uses his cleave ability, there is a red patch on the ground in an arc in front of him. Before meteor, there is a glowing red circle that he is targetting. The beam-of-death is also highlighted in red as well as being a beam of fire. These are helpful, and I wonder how useful they are to new players. Do new players see the red? Do they know to stay out of it? Red is somewhat universally a bad color throughout the game – enemies are highlighted in red, damage done to you is red text, and other instances of danger use the color red. They’ve been trained to see red as danger. However, are we just training them to see red patches on the ground now? Will they be able to understand the virtual space around their avatar as a space full of potentially dangerous threats to their character’s person? I think they will. They either move out of the red cleave before it happens or they take damage from it and gradually learn that red means move. Once they have learned that red means move, they have progressed from pure visual (red signifies something bad) to kinetic (red signifies something I need to avoid). Once they have reached kinetic, they have conceptually moved from purely a visual map to a spatial map. Visual awareness can now be spatial awareness. Is this the ideal way to do it? No. Very likely no. It doesn’t happen until 50 for one. But it’s a start. Over the past couple of months, I have watched the Turbine crew prepare Lord of the Rings Online for its shift to becoming a free-to-play game. Although there are many new and changed features one could talk about, I’d like to focus attention on the scaled instances and their rewards. The developers have taken the original instances, both fellowship and raid content, and transformed them into scaleable dungeons. This means that a level 65 can go back and play through the Great Barrows, but at a level suitable to his or her ability. It may sound somewhat similar to the Heroic dungeons system in World of Warcraft, and it is to an extent. As WoW has a currency that drops from heroic dungeons, so does LOTRO. But, as WoW has specific gear available from each heroic boss on top of the currency rewards, LOTRO does not. This play-for-currency system has been in place since the last expansion Siege of Mirkwood when the skirmish system was released. A player can instantly enter into a scripted instance, typically only about 20 minutes long, with friends or alone, and acquire Skirmish Marks of varying levels depending on difficulty and size. 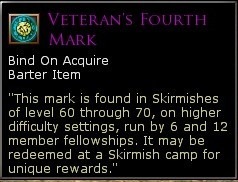 The Marks can then be bartered with a vendor for a myriad of items, both cosmetic and combat. The play-for-currency design is simple and easy to manage for both developers and players. Bag space is already limited, so instead of making characters loot along the way, one just gives them a currency type and lets them buy what they want. It’s like getting Gift Cards at Christmas instead of big, shiny boxes (full of unwanted crap). However, with the new Free-to-Play system, Classic instances are going into this play-for-currency scheme as well. I can run a 24-man raid and not see any drops from the boss. As long as I do it enough times, I’ll get to pick what gear I want and be happy. At first glance, the system seems flawless. No one has to grind for their gear. No one has to design multiple loot tables for different levels (since the instance can be scaled). No one has to do anything hard. 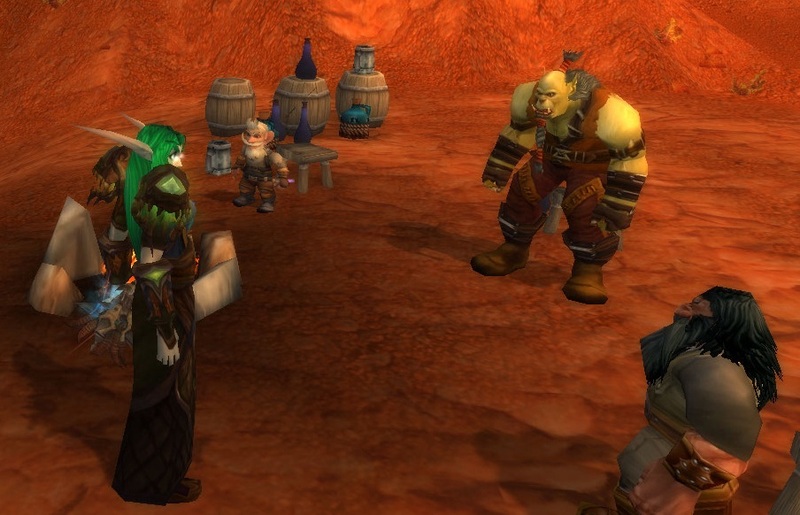 Blizzard’s new RMT – who needs great content? I have since tempered my reaction with rainbows and harmony. Please see my revised view on the sparkly pony here. I know this isn’t a news blog, a WoW blog, or a ranting blog, but today, I feel this needs to be said. Also, perhaps I’m revved up on caffeine and sugar cereal. Today, Blizzard released a new digital download item in their store. It’s a flying horse mount and it’s $25.00. Yes, that’s right, it costs half as much as an expansion. “No one will pay that much for it”, you say as you scoff at my doomsday expression. Orly? Well, take a look at this. That’s right, 17,000 people were in line to buy a digital product. a) What need is this filling that people are willing to pay $25 for? b) What is going to be in my next expansion now? It better be more than two new mounts.